This project has been out for quite some time, but still there will be those who still aren’t “hip” to newer artists. I also need to say I’m a Tink supporter. If you’re familiar with my reviews you know I’m as diplomatic as possible. Who is Tink? I’m here to help you with that. Trinity Home aka Tink is a singer/songwriter/rapper from Calumet City, Illinois. She began singing at the age of 5 and writing songs at 11. In 2011 the first of 3 “Winter’s Diary”albums was released. She also released a few other projects and by 2014 the second mixtape of the trilogy, “Winter’s Diary: Forever Yours” was released and named the eighth best R&B album of the year by Rolling Stone, an incredible accomplishment for such a young artist! (She began releasing Music while still in. Highschool. It’s also Major for a Mixtape to gain that level of noteriety. Tink has yet to release an Album, her Buzz is soley off of Mixtapes. By 2015 Is when I began to notice Tink as an Artist with help from Producer Timbaland on her Single “Million”. “Million” which was a remix of the Aaliyah’s “One in a Million” was a clever evolved version and respectivly done. Let’s fast forward to the present day. 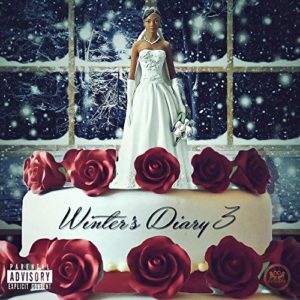 Winter’s Diary 3 is a great gumbo of influences, such as hip-hop, contemporary and old school R&B, and a great “pen game” (songwriter’s slang for impecable writing skills). She is super talented and I’m hoping she gets the chance to become a household name at some point. One thing I love about Tink is her ability to go from totally vunerable in one song, to the total opposite on another. It showcases the emotional rollercoaster experienced by a young woman who wants love but isn’t willing to lose herself for it. She’s honest but transparent. That quality is rare in a lot of contemporary R&B. The song “H20” is a clear indication of that. “There’s Somebody Else” is an interesting concept told from the perspective of a woman who realizes the one she is in love with, is in love with someone else. It’s unique and relatable. Most artists I like have an uncanny way of making the best interludes. Interludes I wish were full songs. “Leash” is just that. It gives you a taste of Tink’s rapper persona. “Medicine” is that as well, and I hope someone she knows sees this and let’s her know I want a full song! I’m so serious. All in all this mixtape is conceptual, melodic, and has great flow. Tink is underrated, but I’m hoping not for long.